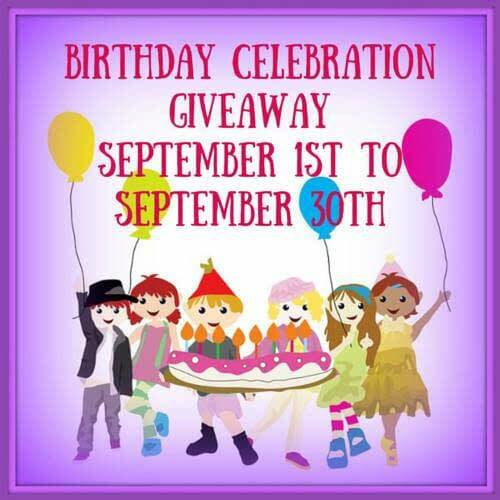 Welcome to the Birthday Celebration Giveaway! How do you celebrate your birthday? You are invited to a wonderful birthday celebration here! I WANT TO THANK ALL OF THESE WONDERFUL SPONSORS FOR BIRTHDAY CELEBRATION! La Bella Baskets with Julie – Plantable Greeting Cards – See review HERE. Sashka Co – Bracelets – See review HERE. Okiedog – Tiny Treasures – See review HERE. Two Rivers Mega Variety Pack – See review HERE. VeryDirtyCarpets – Spot and Stain Remover – See the review HERE. Disclaimer: Neither Work Money Fun nor any of the promoting blogs are responsible for shipping of prizes.